When the temperature drops, and sleeves get longer, most people retreat to the comfort and warmth of their homes, to hibernate for the cold winter. But if you are one of the many ice boat racers out here on eastern Long Island, the freezing temperatures bring more than the holiday spirit. In fact, it can only mean one thing; another season at the Bellport Bay Yacht Club. Meeting every first and third Tuesday of the months November-March, giddy ice boat enthusiasts gather to race, on the Great South Bay, located at the end of Bellport Lane in Bellport. 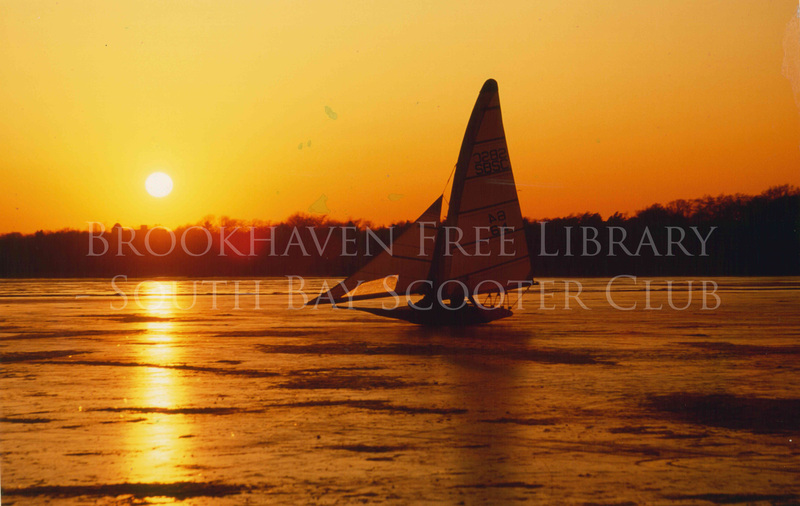 Although the evolution of how ice boats came about is not well documented, the rich history of the Great South Bay Scooter Club is making its way into being digitally accessible for all to see. As early as 1900, ice boats and scooters were used, though at that point in time almost strictly for hunting and sport. 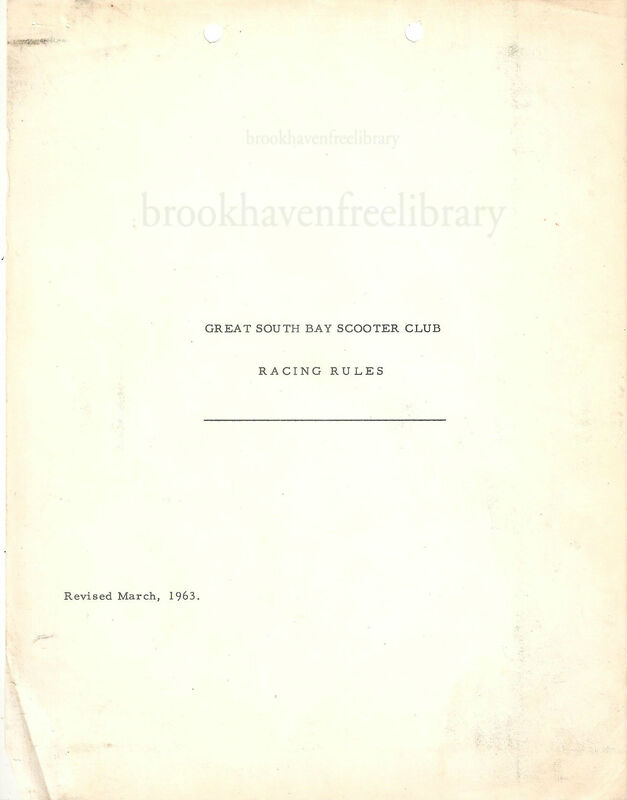 The very first organized scooter race took place in Patchogue in February of 1903. In 1904, the Bellport Scooter Club was organized and later oversaw the organization of other scooter clubs across Long Island. From there, the Bellport Bay Yacht Club offered their building to the Scooter Club for the winter months. Since then, the club, and what seems like the entire village of Bellport, have enjoyed that space from 1922, on.